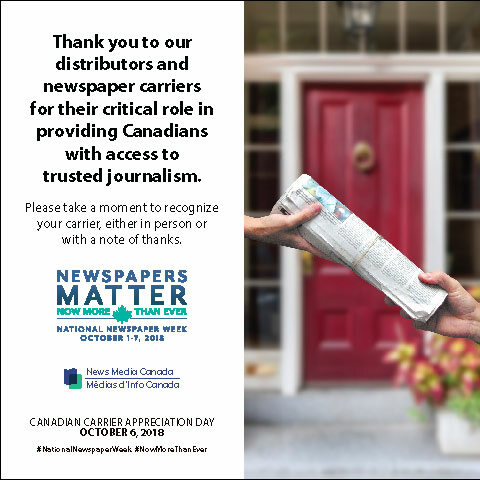 Every year during National Newspaper Week, we acknowledge the distributors and carriers who work tirelessly to bring the news to their communities. 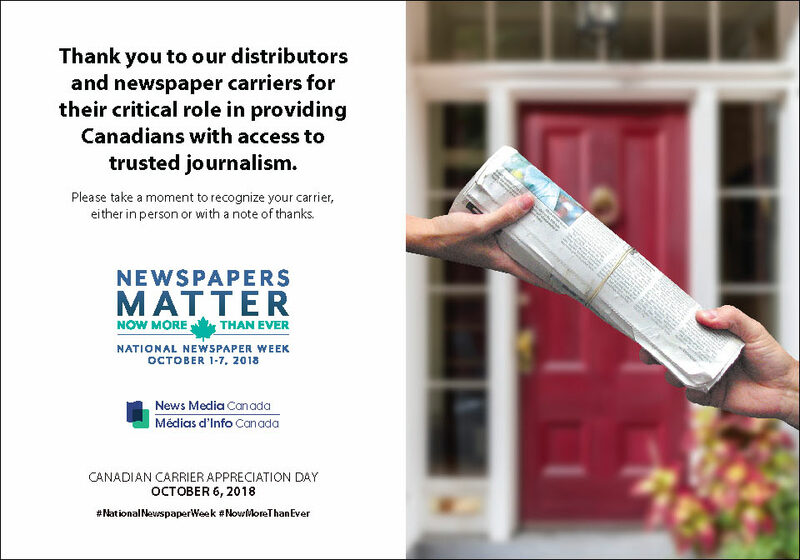 This year, we celebrate Canadian Carrier Appreciation Day on Saturday, October 6, 2018, to recognize their critical role in providing Canadians with access to trusted journalism. 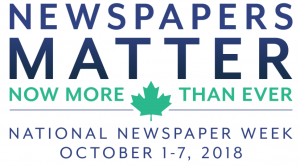 News Media Canada is pleased to provide a series ads for newspapers to download and publish in print and digital editions. Click the "Download Now!" button to access material. Feel free to replace the News Media Canada logo with your own. To create a custom size, download the source files at the bottom of the page. InDesign package for Online Ads – all sizes (ZIP file) – Link ad to www.newspapersmatter.ca.